I’m really liking Apple’s new Aperture 3, and this post is a (growing) collection of links to various resources on the subject, with some of my own notes thrown in. 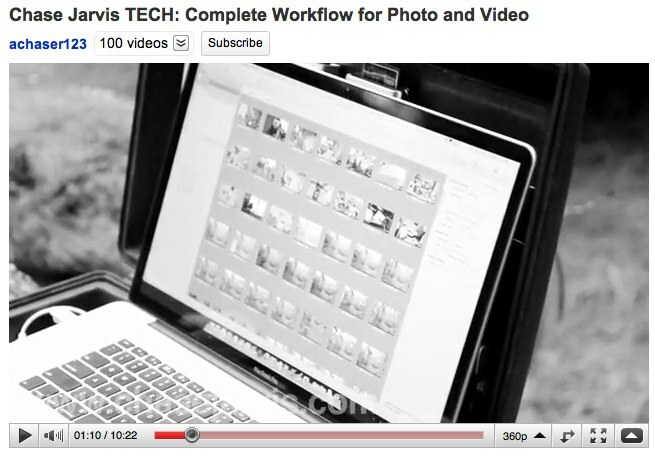 Chase Jarvis has a blog post titled “COMPLETE WORKFLOW AND BACKUP FOR PHOTO + VIDEO“. 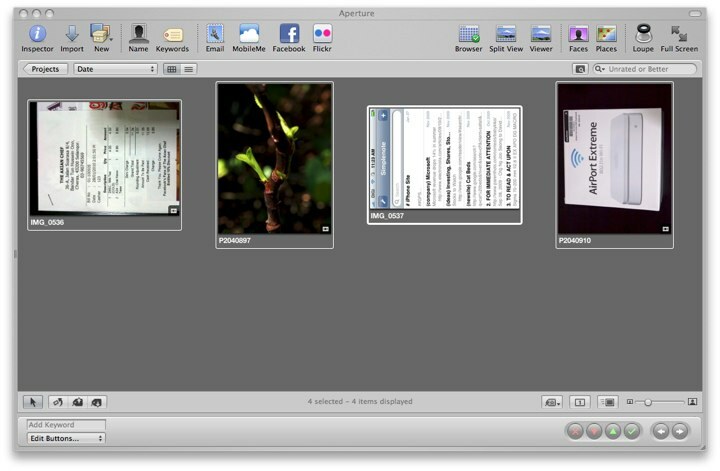 A video on YouTube is also included which shows how Aperture 3 is hooked up for duty in his professional assignments. Lets say you’ve selected a group of four images in the Browser. All the photos will be highlighted with a white border. 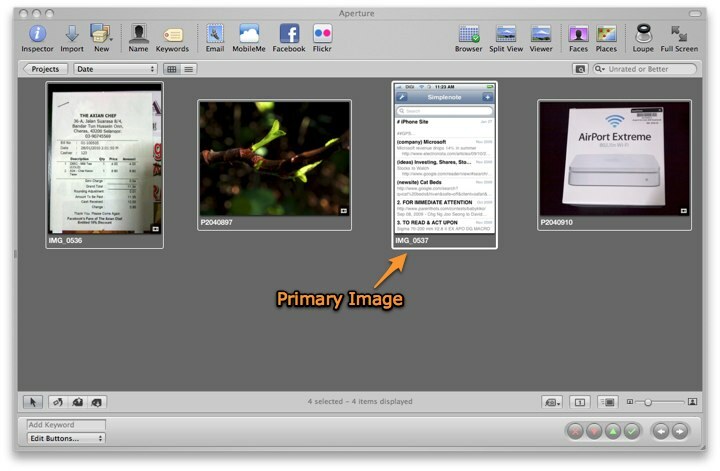 The single, primary image will have a thicker border. 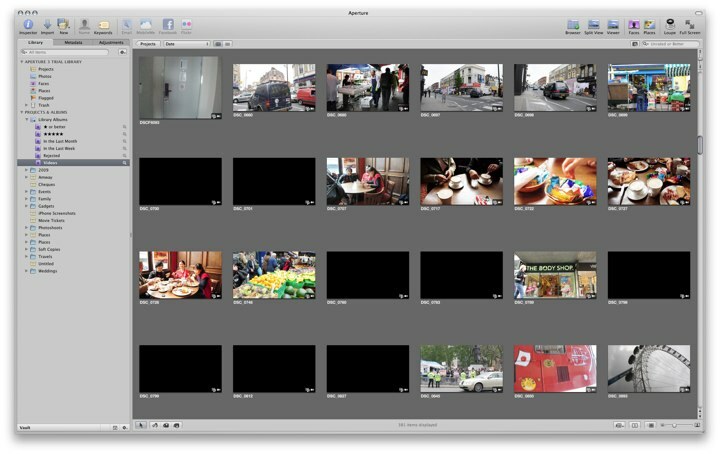 With these images selected, Aperture allows you to rotate them with a single keystroke, using either [ or ] for anti-clockwise or clockwise rotation respectively. However, you might encounter a situation where only the primary image (the photo with the thick white border), and not the rest of the pictures in the selection, is rotated. This is due to the Primary Only option being active. 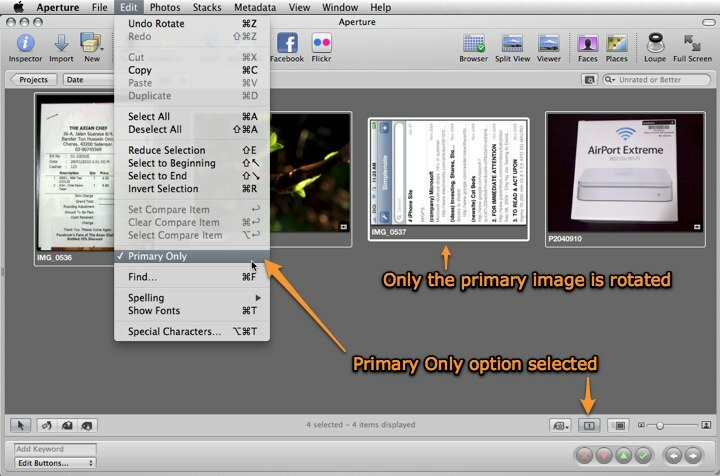 Turn this off by unchecking Edit > Primary Only in the Menu, or clicking on the Primary Only button in the Tool Strip. This solution can also be used if you’re only able to assign ratings and labels to a single image within a group of selected images. If thumbnails are missing for some of your footage / video / movie clips (you’ll just see a black frame instead of an image thumbnail), simply select the clips, and then run Photos > Generate Thumbnails from the menu. 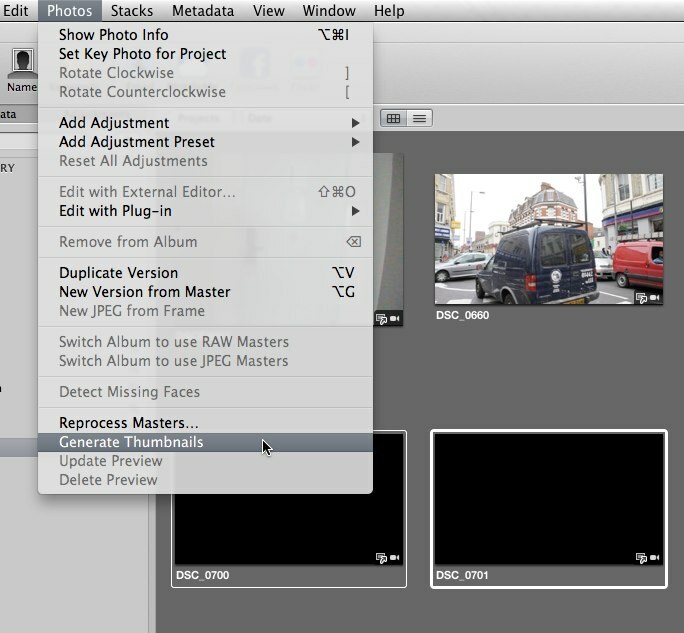 If selecting multiple clips turns out to be too much of a chore, just do a Command-A to select all the clips, or use the mouse to drag out a quick selection that includes clips that may already have correctly-generated thumbnails. With more clips to process, the thumbnail regeneration process would simply take a little longer.